For Louito Edje (M.D. 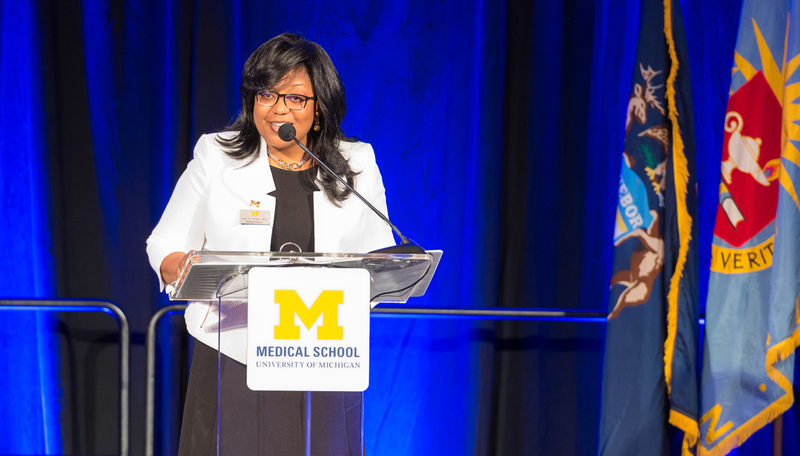 1995), speaking at the 2015 University of Michigan White Coat Ceremony was an opportunity to give back to the institution that helped establish her career. Edje, a family medicine physician and director of the Toledo Hospital Family Medicine Residency program, knows those questions are difficult to answer. “She mastered how to teach. As a physician, I wanted to have that mastery as well,” Edje says.